In 1978 Steve Gladstone shot this photo of Bob Marley in Santa Cruz, CA. In 1981, Steve traveled to Jamaica for the Sound Splash Reggae Festival. 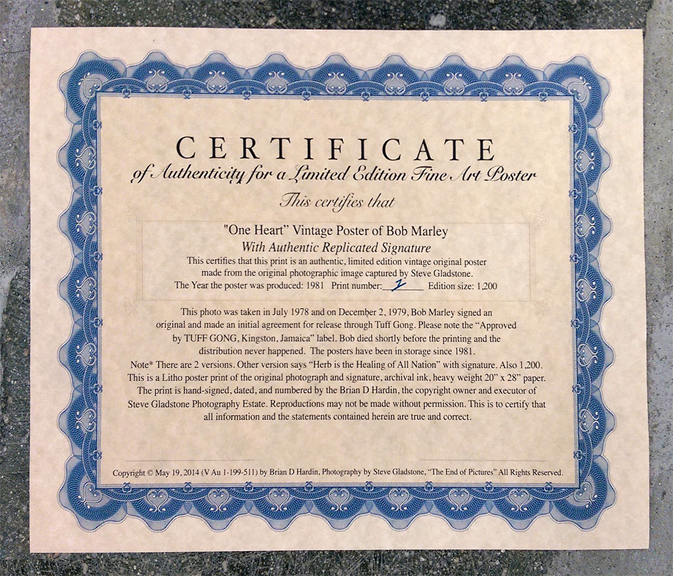 There Steve met Bob Marley, Rita, and the family; and made an agreement with Bob to share this image in poster form and have it released officially released through Tuff Gong. 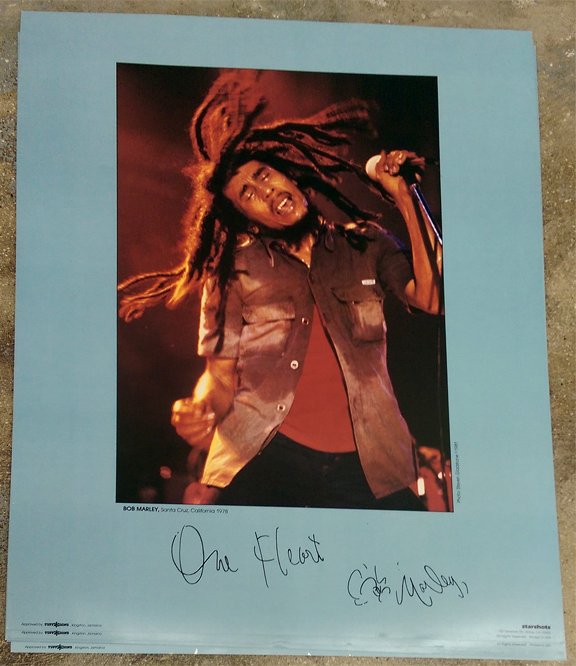 The poster was to have two versions each with distinct phrases Bob Marley wrote down for Steve. 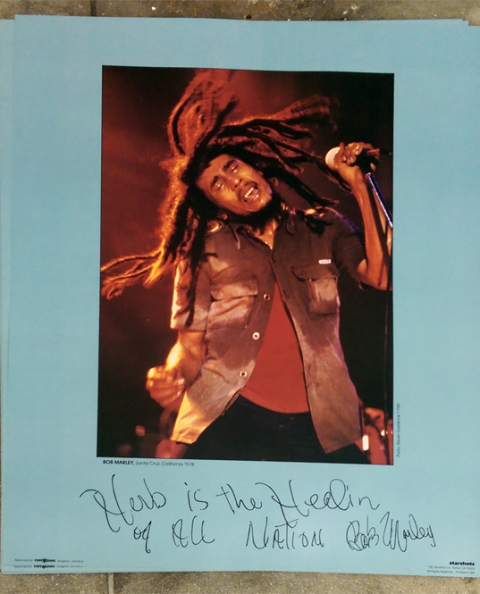 Marley signed one, “Herb is the Healing of All Nations” and the other “One Heart”. However after Marley’s Passing in 1981 the project was shelved due to chaos at Tuff Gong. 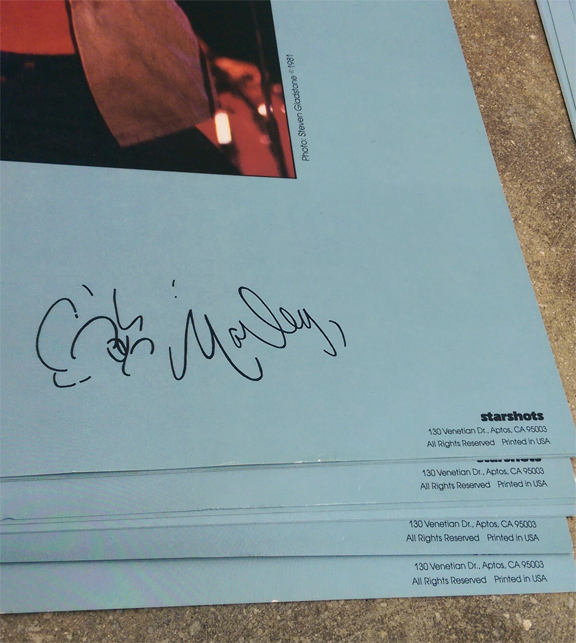 Only 2,500 were printed prior to this, but not released till now. High Quality 34 year old vintage poster. 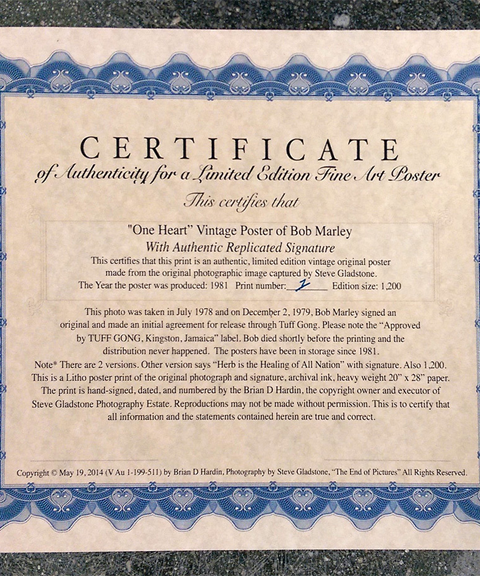 Comes with Certificate of authenticity from Gladstone Archive. 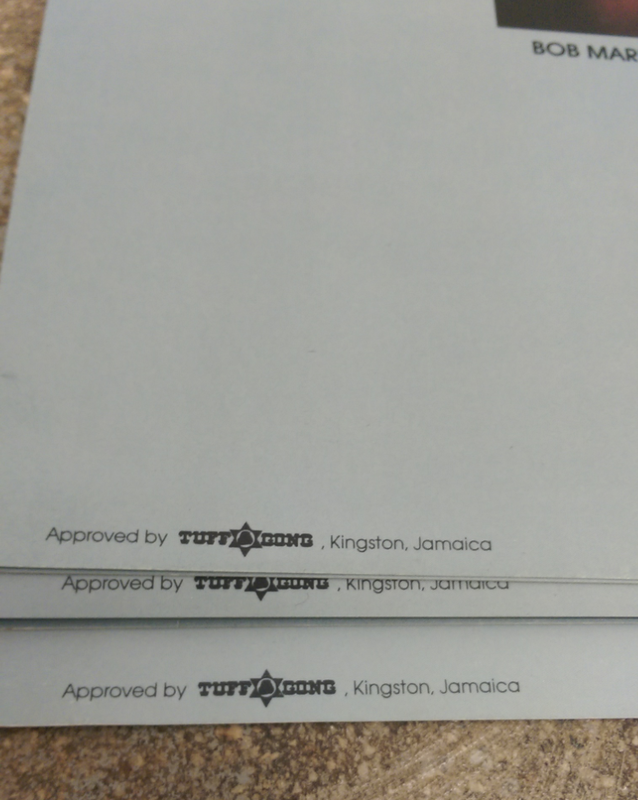 *Posters bear “Approved by Tuff Gong, Kingston, Jamaica” notation.